Samsung smartphones may make you prettier! 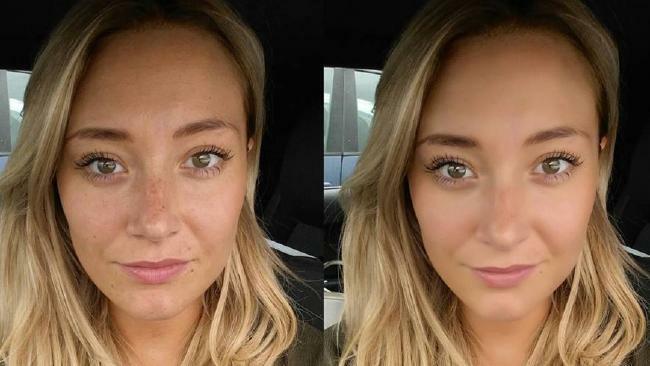 According to Mel Wells, who is popular as a writer for fitness and health in the UK, the selfies taken from a Samsung Galaxy S7 may make you prettier by removing original blemishes from your face in the photo. It removed her freckles from the selfie she took as the S7 has the Beauty mode turned on by default. Apparently, she did not appreciate the little airbrushing that the camera app did automatically and had this to say. "This means everyone who gets a new Samsung phone and flicks the front camera on is automatically being told ‘Hi, we're Samsung and we think you look way better when we automatically airbrush your selfies for you." This have hurt the sentiments of a few who are against the worldwide marketing ploy to trap customers into thinking that they don't look good enough and need some sort of a product to look better. However, since it is just a setting that you can turn off at will, many may fail to see the point of turning such trivial matters into issues. What do you think? Do you like it when selfies look prettier than you actually are or do you think it's just better if they reflect your original self as closely as possible? Tags: samsung smartphones may make prettier!